Get your official SkillsUSA member jacket! 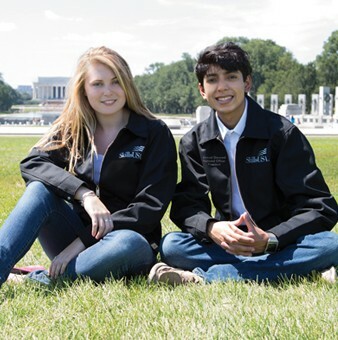 Show Your SkillsUSA Pride with this new one-of-a-kind jacket personalized just for you! This jacket is a versatile with year-round wearability, perfect for dressing up or down. Students: if you reserve your official member jacket by December 19th, you can receive 10% off the price of the jacket AND receive FREE embroidery. This is a limited time offer while supplies last! Advisors: The first 150 advisors to reserve 12 jackets or more before December 19, you will receive 1 free jacket! Additional details, size charts and the group order form can be found at: To download the group order for, go to: costore.com/ProudtoWearSkillsUSA.